A refreshing color theme is a must have for every summer wedding, specially if you are planning for an outdoor wedding. It complements the open air set up and also has a cooling effect on the eyes. You can keep it simple by combining aquatic and cool color tones with white or go all out with colors like mauve, hot pink and fuchsia. 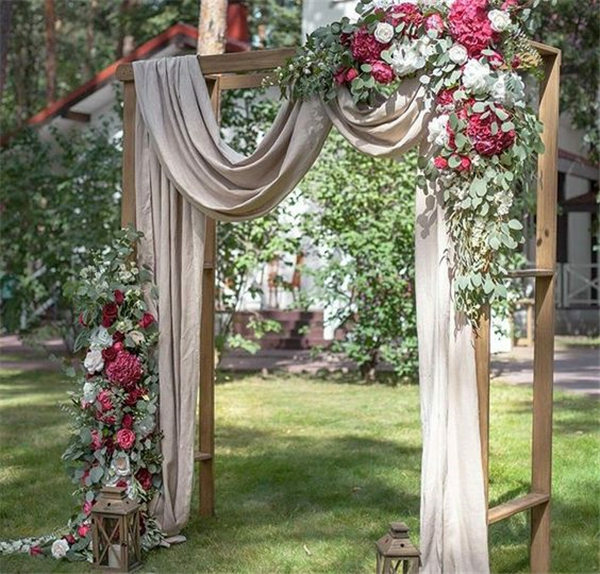 You can also maintain your color theme by choosing exotic flowers from the color palette of your choice and make your summer wedding a little more regal than it is. You decision to host a summer wedding does not mean that your guests should parch in the heat while you take your vows. It is your responsibility to ensure that your guests are not uncomfortable. 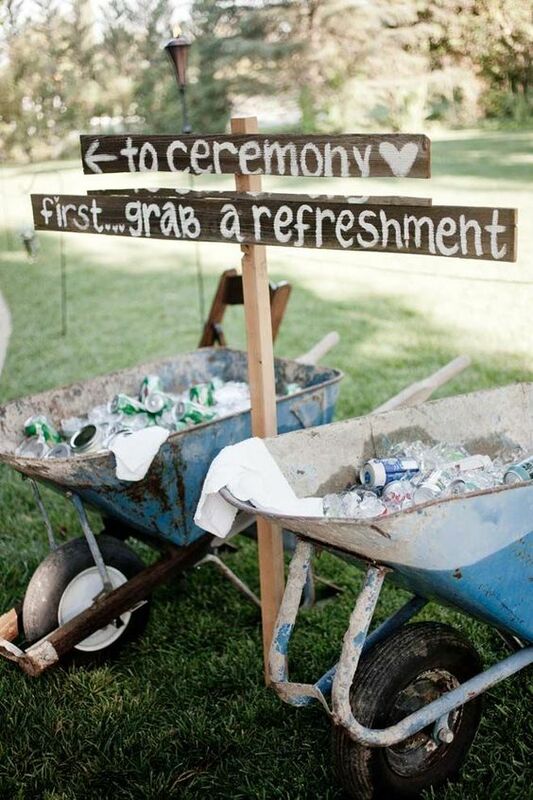 Greet your guests at the entrance with a rustic set up for refreshments. 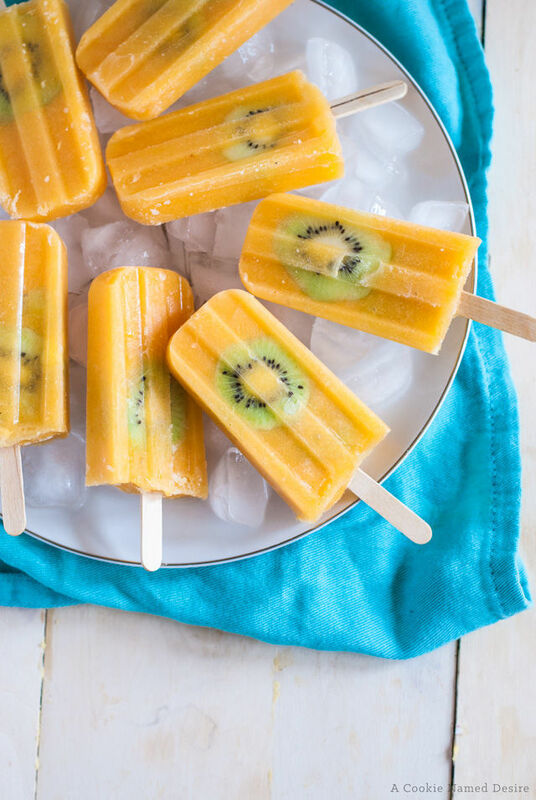 These will comfort your guests in the sun and also keep them hydrated. Using rustic boats or a hand-cart is an inspiring idea for this out-of-the-box refreshment idea. You can also set up a wooden beer bar to completely floor your guests and set some serious #decorgoals! Wouldn’t it be amazing if your wedding program hand-outs could double up as fans and comfort your guests. 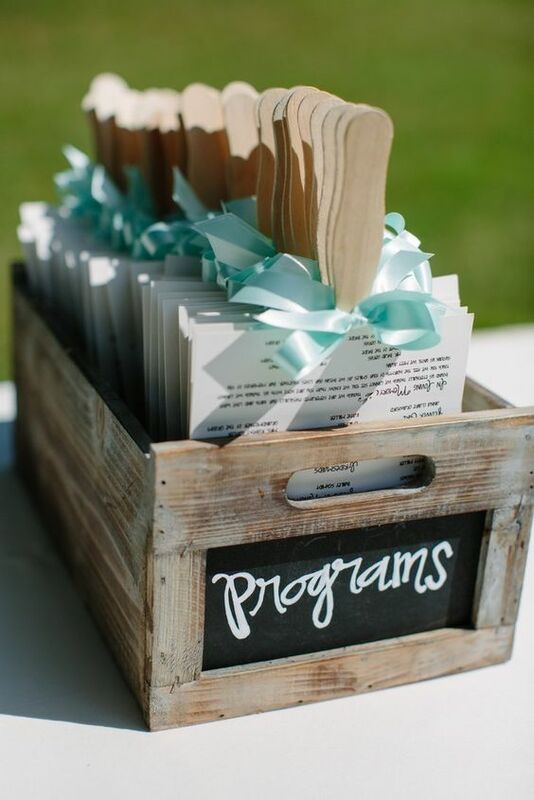 Instead of just handing out your wedding programs, insert an ice cream stick to make easy DIY fans out of them. Your guests definitely won’t be able to thank you enough for this. The beverage station would be the most frequent place that your guests would visit during your wedding, it is only fitting that it sets a statement of your class and creativity. 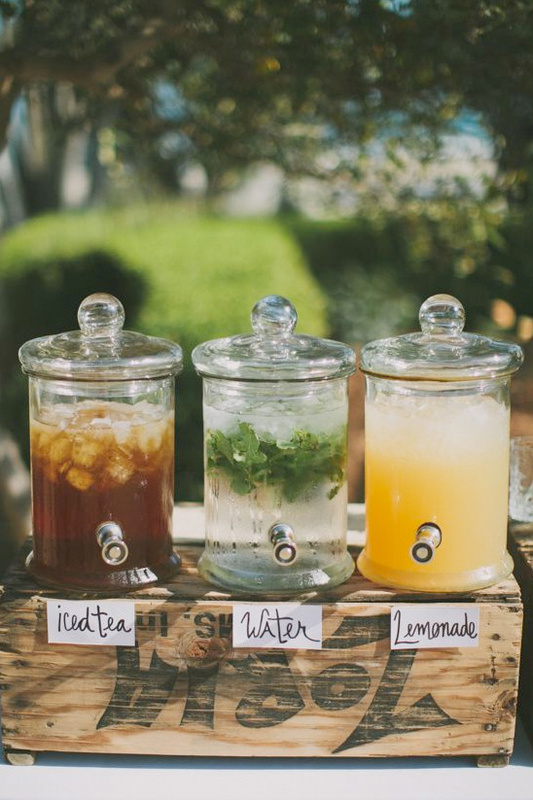 Don’t forget to add cooling fruity beverages in your menu and fashion some lidded glass jars as dispensers. You can also add some whole/sliced fruits with ice in these jars for a cool looking station and keeping the flavors intact. What defines summers better than pinwheels do? 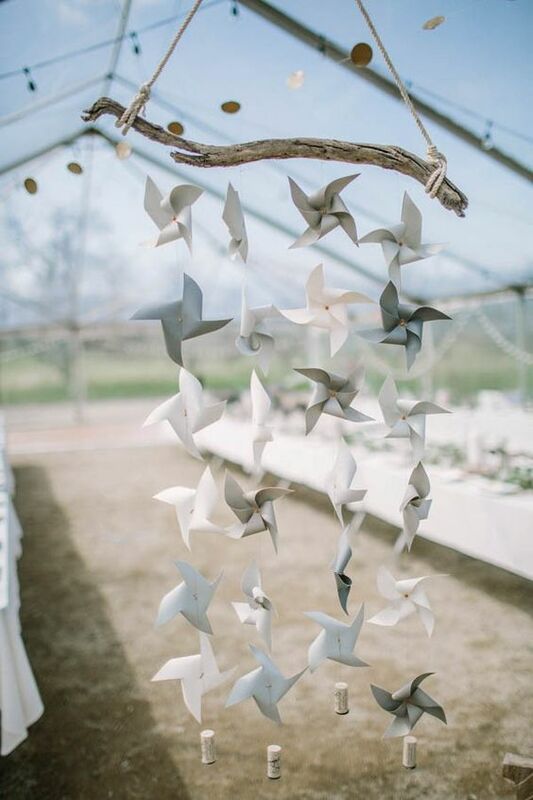 Hang strings of pinwheels and watch them double up as a fabulous photo background. You can even step ahead and use these to deck up your altar. They would not just set your wedding a class-apart but would also be a treat to watch when the wind blows. These messages are a fabulous way of reminiscing all the well-wishes that your loved ones had bestowed upon you the day you got married. This is reason enough to receive your wedding messages in an exclusive yet creative manner. 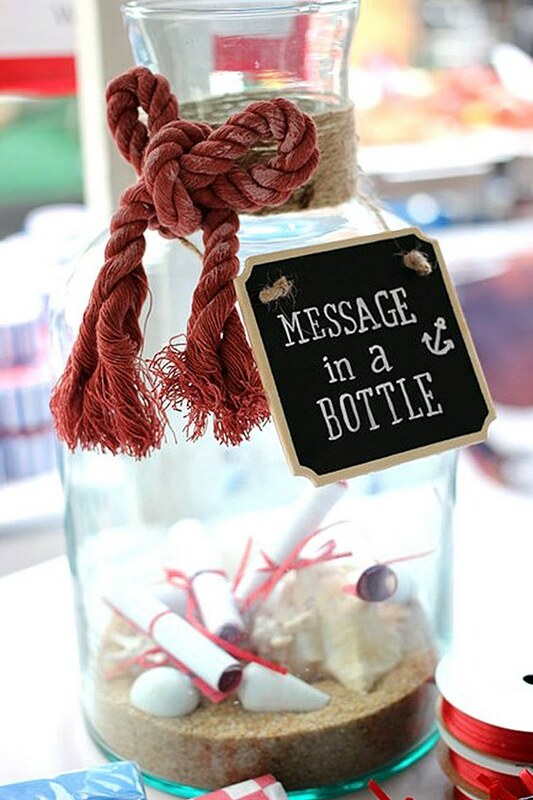 Keep a glass jar for your guests to drop your wedding messages into. You can go a little fancy and keep colorful strings for them to wrap and roll your messages with! You don’t want your guests to look shut-eyed and squinting in all your wedding pictures. Do you? 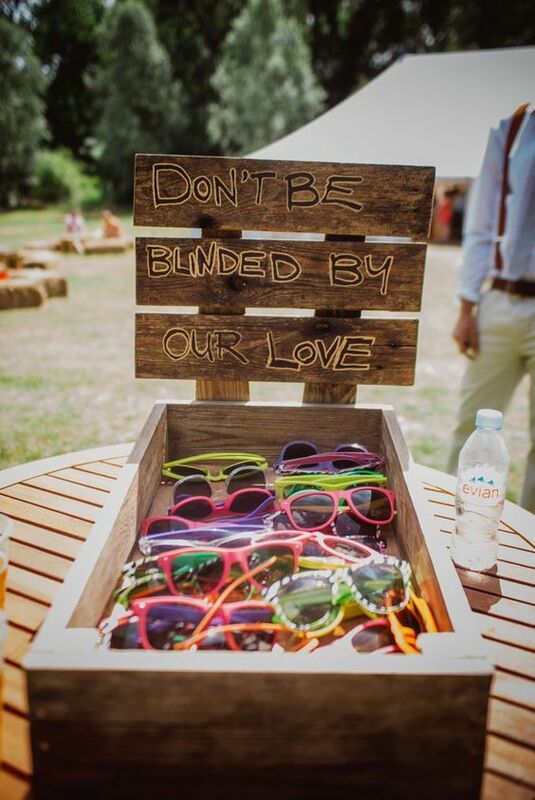 Help them protect their eyes from the sun by keeping sunglasses at each seat or at the seating arrangement display. These will help your guests in coping with the brightness outdoors and can also double-up as wonderful wedding party favors. A simple and mess-free way for your guests to enjoy their drinks. Short-list popular cocktails and mock-tails and freeze them to be served as a Popsicle. Your guests can enjoy these anytime and you don’t have to worry about naughty kids tripping over glasses and making a mess. Plus, your guests get to enjoy adulthood with a bit of childhood right there! Those little frozen balls of pure delight, otherwise also known as ice-cream, are everyone’s favorite and running after an ice-cream truck, their favorite childhood memory. 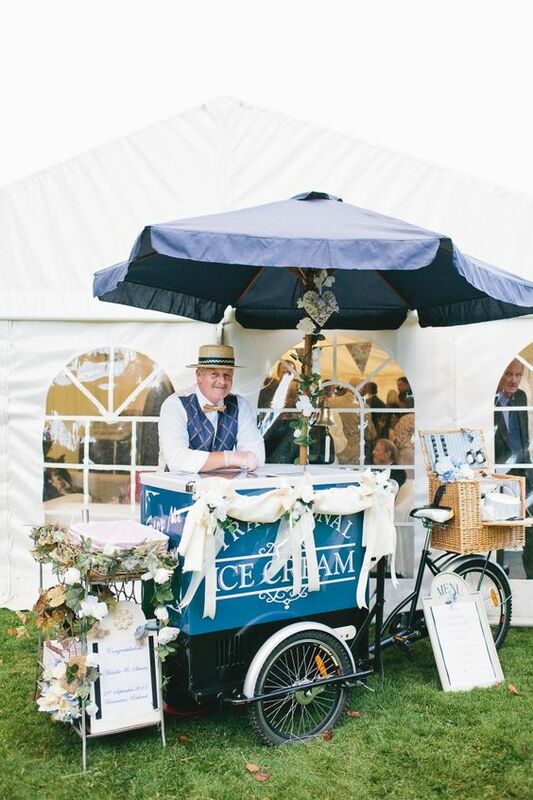 If you are planning a summer wedding then an ice-cream truck is a must have. Select your flavors according to your wedding theme or go all out with those classic and mouth watering flavors. The choice is all yours! An open air wedding during summers can invite unwanted guests like bugs and mosquitoes as well. 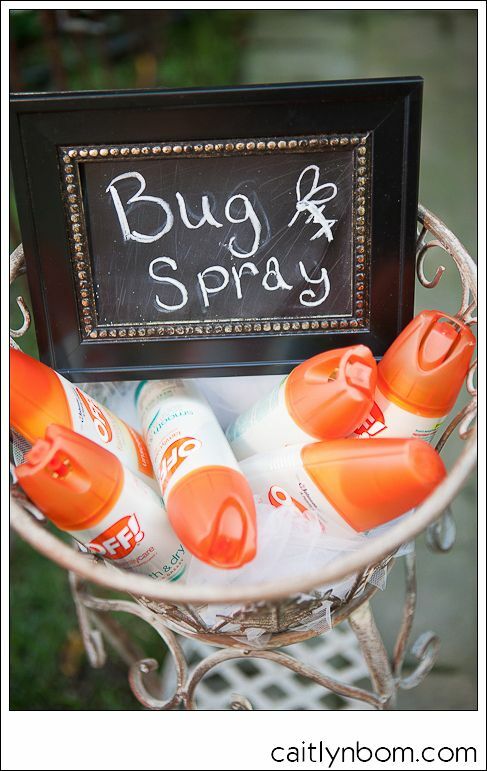 Keeping some kind of bug/mosquito repellent handy would help your guests in being at ease and protecting themselves against any kind of insect-bites. Keep them stacked in a ‘help-yourself’ station or distribute them ‘one-on-each-table’ for an economical fix to this problem. Drapes and flowers make for dreamy altar decorations. Pick flowers that match your costumes or choose something extremely contrast. Don’t forget to pick a delicate fabric for the drapes to make your dream wedding all the more dreamier and make each moment a wonderful photo-op. The tradition of guests throwing rice at the ceremony is linked with blessing the couple for a happy future. But this old tradition lacks that extra fun factor, right? 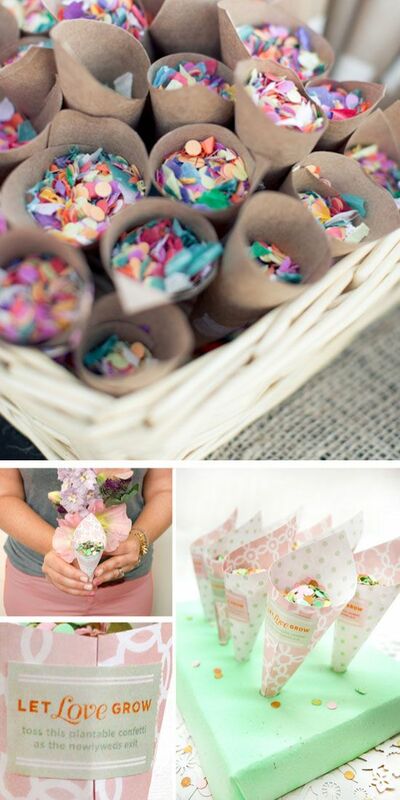 Make your guests add to your wedding fun by substituting traditional rice with confetti. Let each guest have their own little cone of joy and we guarantee the pictures would be priceless. 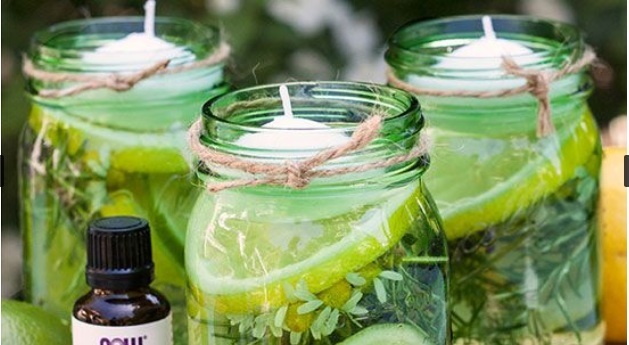 Bug repellents don’t just have to be boring cans and bottles. Churn your creative juices and experiment with some DIY mason jar luminaries. The bug repellent oils will protect you from bugs and mosquitoes while they shall also make for excellent decoration elements. Line your aisle with these or hang them on trees, you are the one to choose. 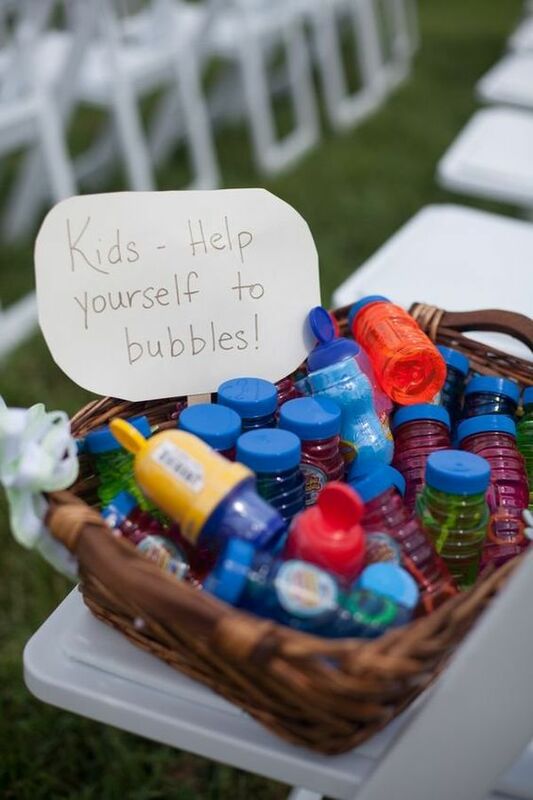 Your little guests also need equal attention on your wedding day. Children need to be kept engaged else their energies might cause discomfort to other guests. A help-yourself bubble kit station is the perfect remedy for this problem. These bubble kits can be the perfect way to keep them busy and the bubbles will make perfect backgrounds for your pictures as well. Wedding favors are a memory of your special day for all your guests. Though many couples opt for show-items as wedding favors, here is an idea to add a little bit of personal touch to your gifts. 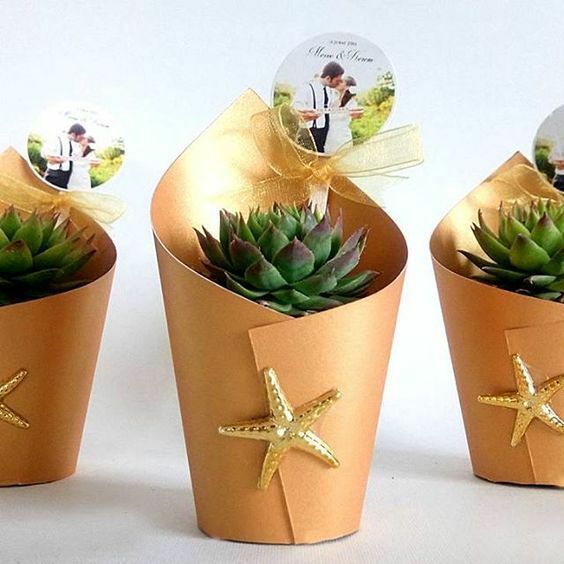 These tiny succulents will make just wonderful wedding favors and make the memory of your wedding day ever lasting in the heart of your loved-ones. Your wedding day is going to be the most perfect day anyways. These ideas are just to add some creative twist to your D-day and make your guests go gaga over the experience that you offer them. Of course, you can thank us later! Also, do let us know how it turned out to be.